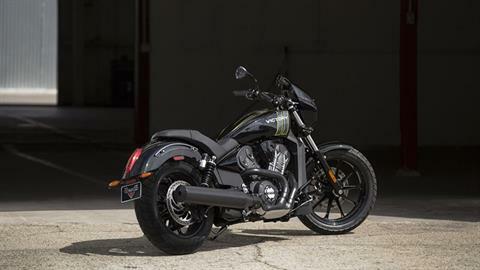 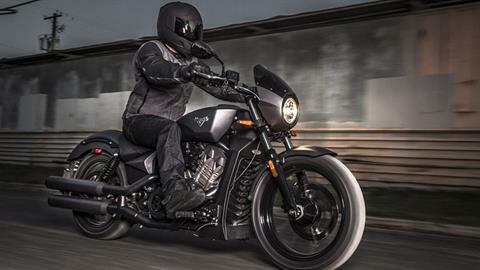 A POWERFUL, LIQUID-COOLED 1200CC V-TWIN IN A LIGHTWEIGHT CHASSIS THAT PUTS DOWN 104 HORSEPOWER. 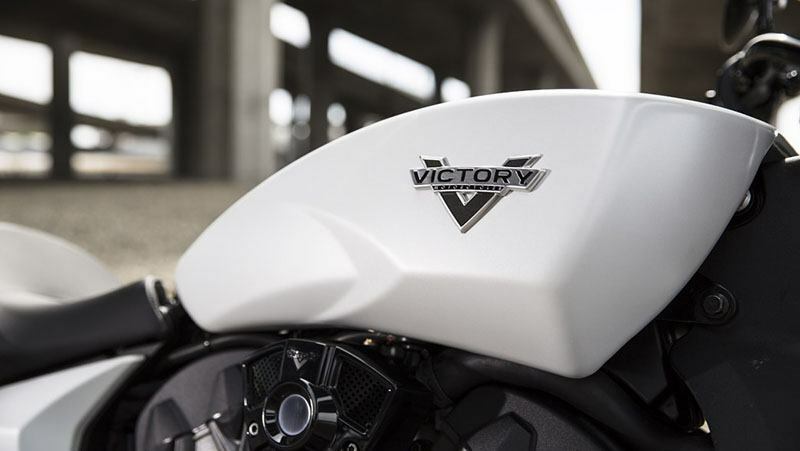 STAGE 1 SLIP-ON MUFFLERS: The Victory Stage 1 Slip-On Muffler produces a muscular, throaty exhaust note that properly represents the bike’s outstanding performance. ADJUSTABLE PIGGYBACK SHOCKS: Experience the ultimate in suspension performance with these shocks that deliver fade-free damping and offer 16-way compression adjustability for custom tuning to suit a rider’s weight and riding style. DRAG HANDLEBAR: Add racing-inspired custom style and customized ergonomics. This bar is like those on drag bikes, nearly straight across, which puts the rider in a forward, engaged position that many riders feel can heighten the riding experience. 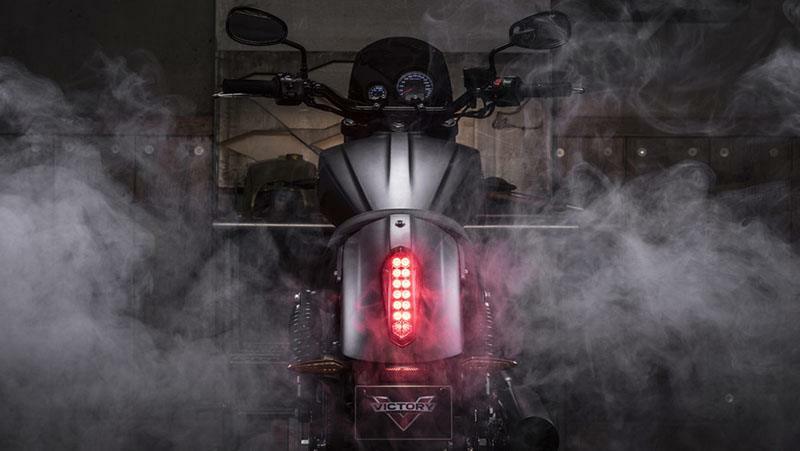 TACHOMETER WITH SHIFT LIGHT: Monitor the bike’s performance and stay aware of precisely when to shift gears with this Victory Tachometer With Shift Light. 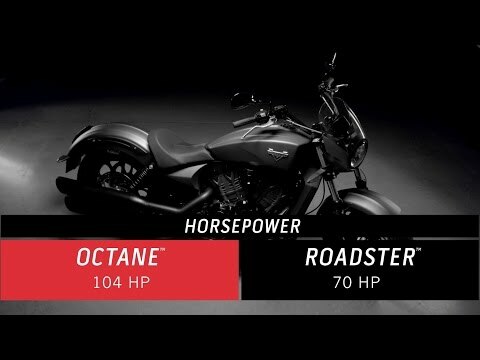 The precision tachometer reports engine RPMs up to 10,000, and an amber light comes on to indicate optimal shift points. 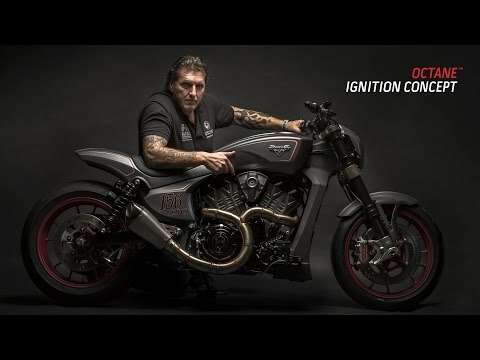 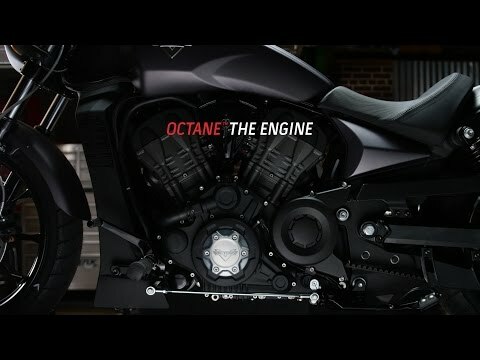 A RACE BRED V-TWIN: Based on the Project 156 racer that competed at the Pikes Peak Hill Climb, Octane's 1200cc V-twin uses 4-valve heads, dual overhead cams, and liquid cooling to make 104 horsepower. 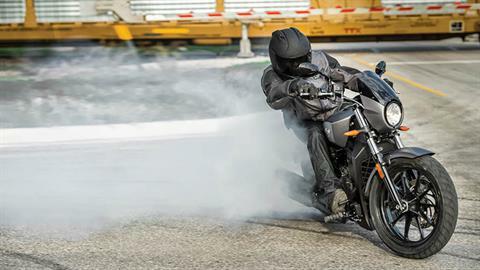 Geared for acceleration, Octane™ can run the quarter mile in 12 seconds and hit 60 mph in under 4 seconds. 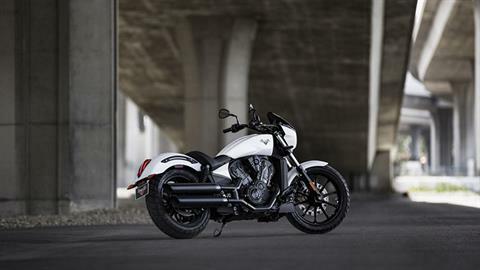 A CAST ALUMINUM FRAME: A light and rigid cast aluminum frame transmits every horsepower dirtectly to the pavement. 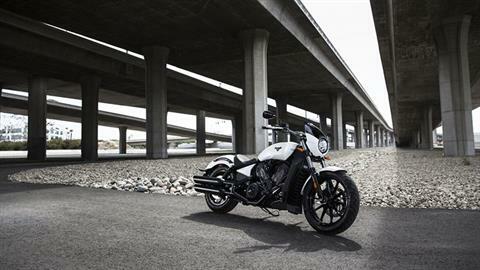 Sharp steering geometry and 32-degrees of lean angle deliver agility previously unknown to American motorcycles. Cast aluminum 10-spoke wheels are sized for sure-footed handling. CHROME WON'T GET YOU HOME: That's why there's so little shiny stuff on Octane™. 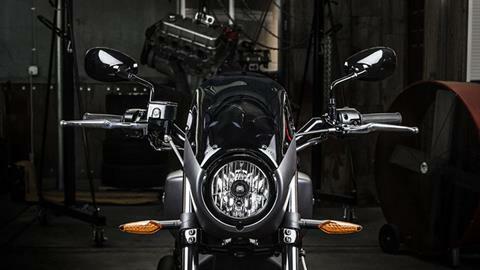 The chassis and powertrain are blacked-out, and Matte Super Steel Gray bodywork created a modern, monochrome look. 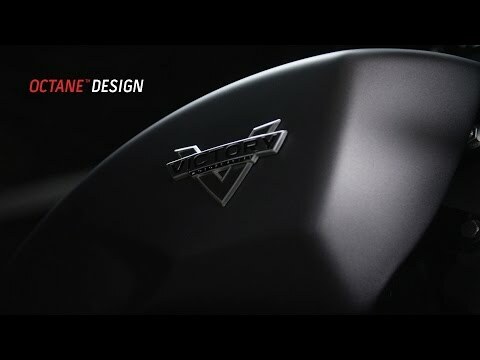 LEANER AND MEANER: Octane™ is the most aggressive Victory motorcycle ever built, styled with harder lines, sharper creases, and other subtle details that make the Octane™ look leaner and meaner than any other American motorcycle. 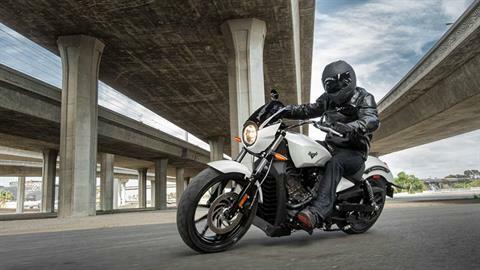 The bullet cowl is standard equipment and proves this bike is built for speed. Front - 18 x 3.5-in. 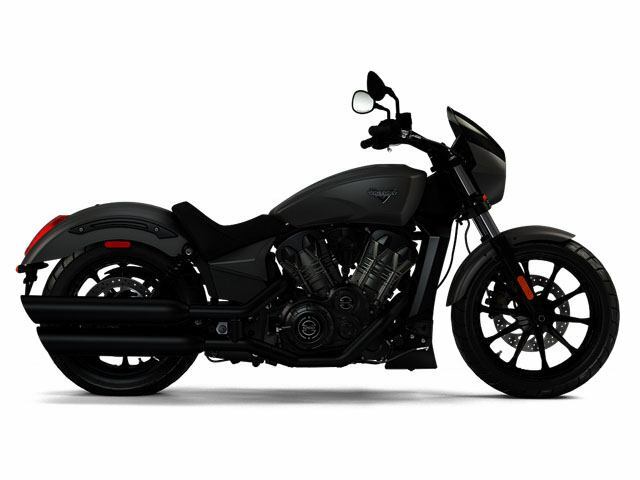 Rear - 17 X 4.5-in.